A group of local Ridgeback breeders wanted to start a club to provide more resources to the ever-growing Ridgeback community in this area. The local breeders and rescue supporters joined forces to create CBARRC in the late nineties to promote more organized activities and resources. Over the years, CBARRC has remained a small group of Ridgeback enthusiasts who like getting together to have fun at our annual “Fun Days” and other scheduled events. A website was added to better enable the club to offer more resources to Ridgeback owners. There is also a CBARRC e-mail list at http://www.yahoogroups.com/. It is an open list to all Ridgeback enthusiasts. The primary purpose of the e-mail list is to provide you with up-to-date notices of upcoming canine events, but is also a forum for discussing any canine related issues. As the interest in Ridgebacks has grown in the DC region, along with social sharing of personal and group interest in the breed and breed related activities, a CBARRC Facebook Group was created to allow members to stay in touch. 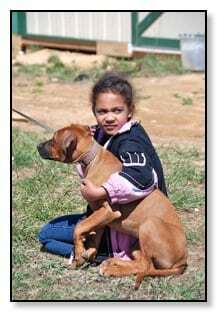 CBARRC has always been supportive of Rhodesian Ridgeback Rescue, Inc., sponsoring fund raisers for rescue and providing volunteers to assist with the day-to-day operations of rescuing Ridgebacks in this area.